The idea is to have the traffic ‘flowing’ through the laptop’s physical NIC to the virtual machine running pfSense, then back to the Windows host through the Loopback adapter. 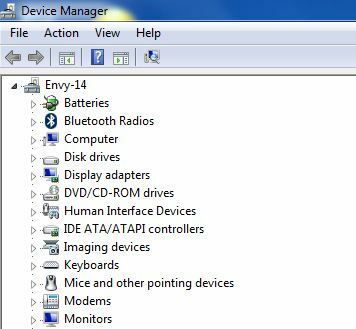 In what follows, I will describe how to install the Microsoft Loopback adapter on Windows 7 (apparently it works the same for Vista). 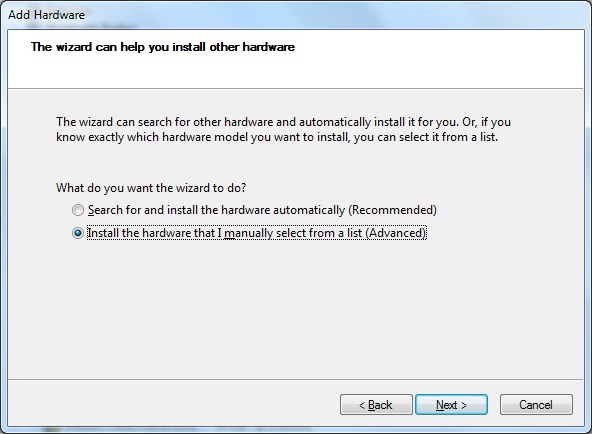 For other flavours of Windows, such as XP and 2000, 2003 Server, a very simple search will do the job. Done! 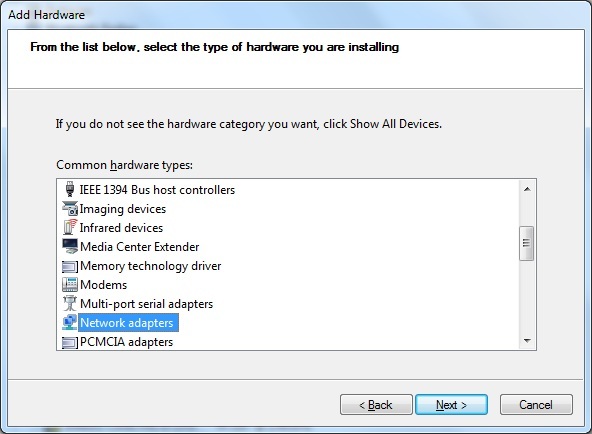 You don’t need to configure it yet, as you need a gateway which will soon be the virtual machine running pfSense. 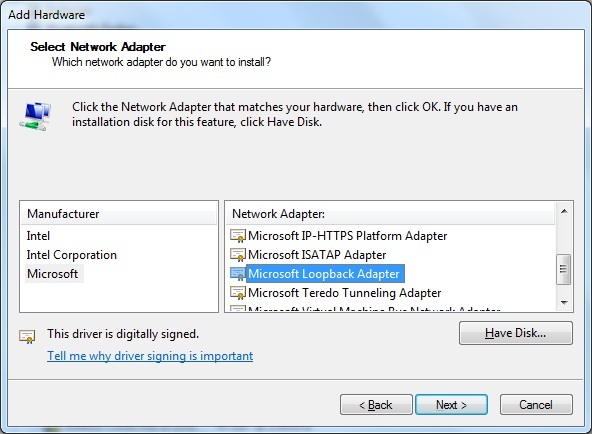 The Microsoft Loopback Adapter was renamed in Windows 8 and Windows Server 2012. 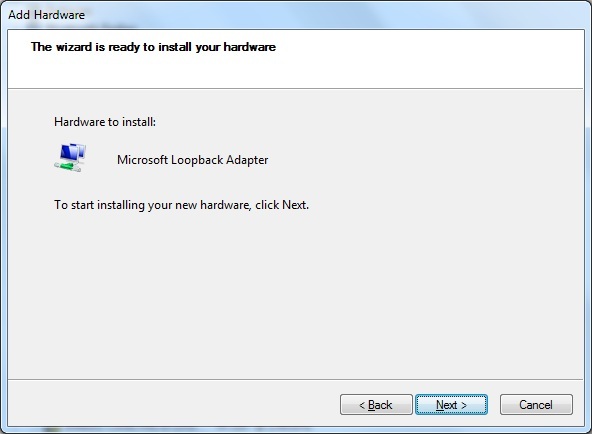 The new name is “Microsoft KM-TEST Loopback Adapter”.